Rejoice people! Because we are getting closer and closer to the day where we are not only cashless but also card-less and soon move to wallet-less life. Is it good? Well at some point yes, because all you need to bring and care is your smartphone. No more bulky pockets! How many times you forgot to bring your wallet? Now if you compare, how many times you forgot to bring your phone? For most people, the answer is, phone is less likely to be forgotten compare to wallet. Is it right? You tell me. While we are still few steps away (read: years away) from wallet-less life, let’s zoom into card-less life. Big technologies companies like Apple, Google, Samsung in recent years have come out with their own payment systems which makes the usage of credit card/debit card become lesser and lesser since more and more retailers are joining to accept card-less payment these big companies were introducing and offering. And that is good for us as a customers. Instead of bringing multiple credit cards/debit cards inside wallet, today we just need to bring one of them (read: debit card) on the wallet in case need to withdraw money and store the rest digitally on the digital wallet (Apple Pay, Google Pay, Samsung Pay or any other digital wallet payment systems). 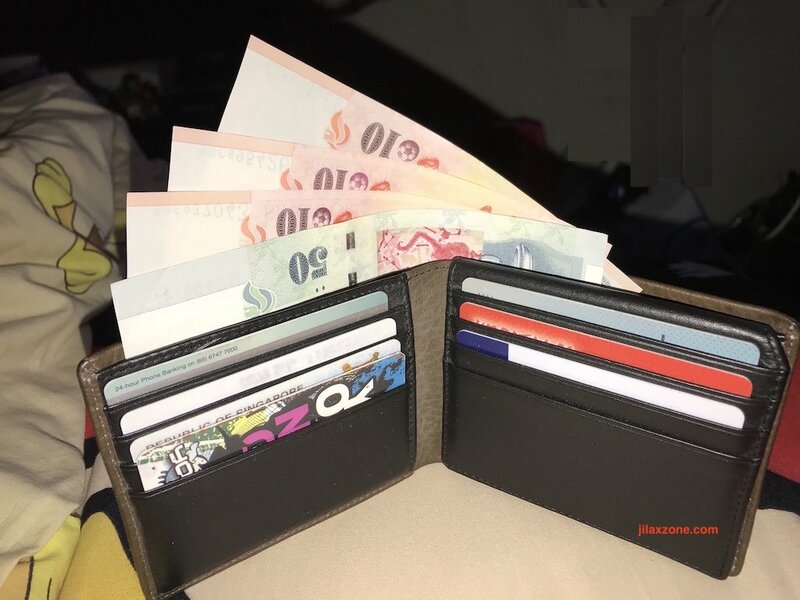 With my recent finding – thanks to my friend, Wulan, who show me how – the number of cards needed to bring on wallet, now can be reduced to zero. Today people can withdraw money from ATM just by using a smartphone – a compatible one. Not sure if other countries have implement the same thing but if there’s any, I’m guessing it would be Japan. Withdrawing Money Using Just a Smartphone. How is that possible? Smartphone these days have these things in common: they have NFC, they have fingerprint scanner (or face scanner). These 2, combined with the digital wallet payment technology, enable us to withdraw money from ATM. Here’s How to Withdraw Money using Just a Smartphone. Of course, there are some prerequisites you need to fulfil and follow to be able to withdraw money using your smartphone. Here they are. 0) Bank account with some amount of money inside the account is a must! 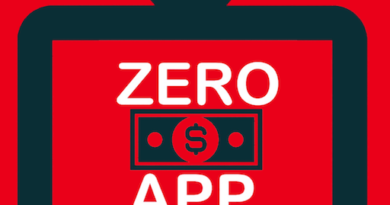 2) Payment app, such as Apple Pay. Have your debit/ATM card registered on the payment app. In case needed, do check here to setup Apple Pay on your iPhone. 3) ATM that supports NFC withdrawal. 1) Find any ATM with NFC logo on it. (See image below for your reference). 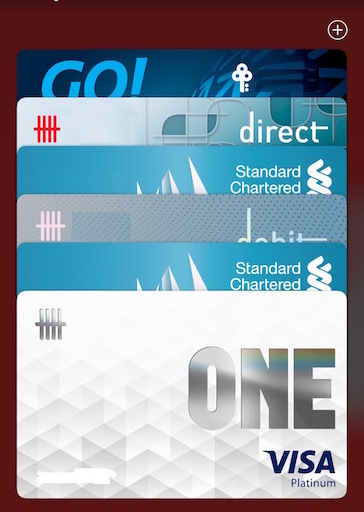 Normally the logo appears next to the card insertion slot. 2) When you find one, do tap the smartphone into the NFC area. The wallet app shall appear and prompt you to authenticate (either by fingerprint, face, or passcode). 3) Authenticate (place your finger, show your face or key in passcode) and wait for the beep sound. 4) If authenticated successfully, the ATM menu will show you the standard menu like what you see normally when you withdraw money using the Debit/ATM card. 5) Follow the rest process as what you normally did and get the money out from the ATM. 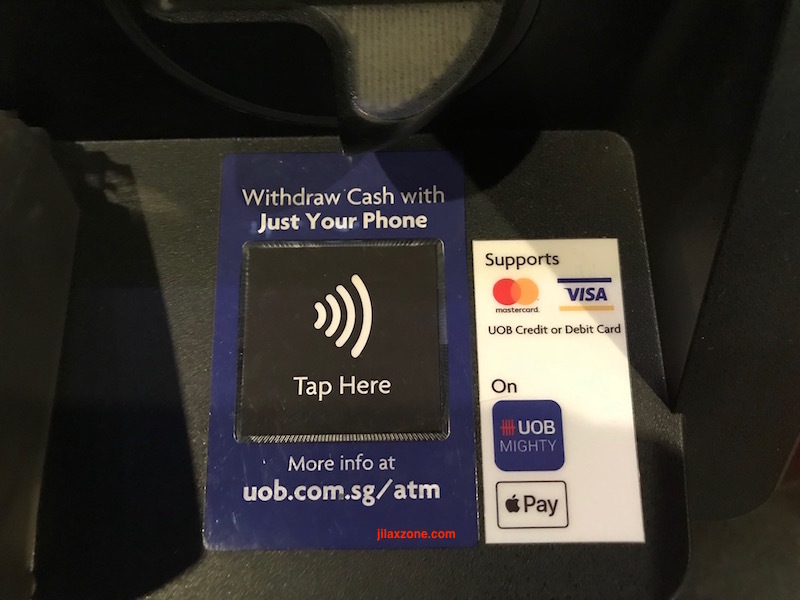 This test was done using iPhone 7+ (which is NFC compatible) with UOB Debit Card stored digitally on iOS Wallet app (digital wallet) on NFC-enabled UOB ATM Machine at Singapore. Note: This post is not sponsored by UOB (United Overseas Bank). It just so happens I got an account at this bank. Too bad, for UOB ATMs, currently they only supports Apple Pay. Hopefully support for Google Pay, Samsung Pay will come pretty soon. Is there any fees charged by withdrawing money using smartphone? Depends on the bank itself. But for my case using UOB Singapore, today there’s no fees being charged for withdrawing money using my stored debit card inside my iOS Wallet. Going forward I don’t know but hopefully banks won’t charge us for this convenience. Technologies have enabled lives to get more and more convenient. 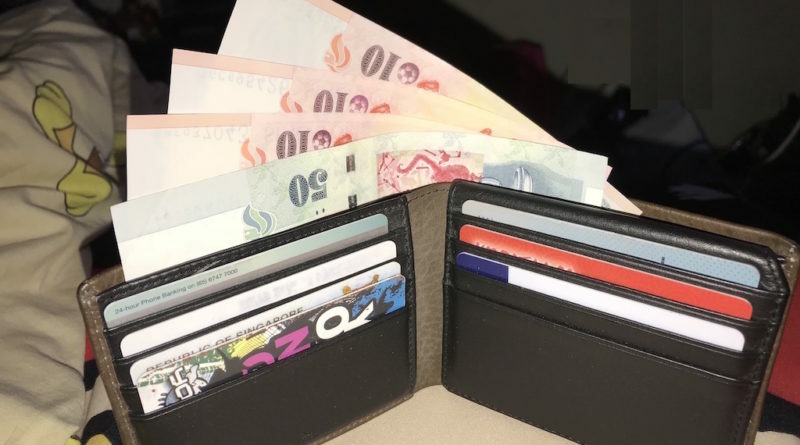 While I haven’t ditched entirely my wallet – since I still need it to store my cash and some other cards like public transport card, but my wallet is getting thinner now. What about other banks and countries? Have yours implement the same thing? And do you think cashless, card-less and wallet-less society are good? Or do you prefer to be traditional here? Do give you comments and thoughts down below on comment section.